These are great belts for in-between size waists. My son loves them. The best set of belts I ever owned. Extremely satisfied with my Mission Belts I purchased from the Grommet. Well made and stylish. 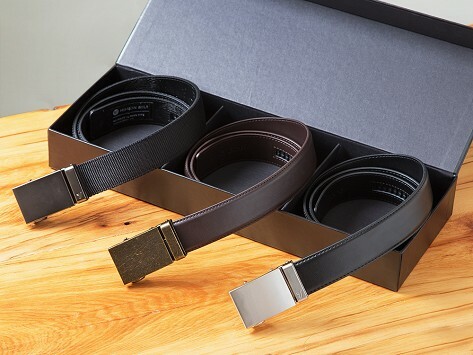 I bought these belts for my husband for Christmas. They are high quality and he loves them, as do I.